Alfa Glass and Mirror has been working with Miami businesses to provide them with all the glass products they need for their commercial glass services! Alfa Glass and Mirror works with companies across the South Florida area ranging from Miami, Miami Beach, Fort Lauderdale, Kendall, Coral Gables, Weston and Orlando. Whether you are building a new home or remodeling your existing home, our Miami Residential Glass Services can help you with new mirrors and enclosing your shower or tub. Alfa Glass and Mirror is a full service glass company in Miami that specializes in the installation & repair of commercial & residential glass, mirrors, and windows. Since 1995, We have been highly regarded as one of the best companies for Residential Glass Installation and Repair and Commercial Glass Installation and Repair in Miami. We offer a broad spectrum of glass products as well as services, including commercial, residential, and automobile applications. 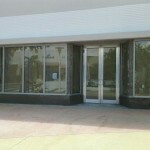 Our product line ranges from window glass to commercial storefront and window systems. We have extensive in-house cutting, fabricating and polishing capability, allowing us to produce high-quality customer mirrors, tabletops, and shelving at a reasonable cost. 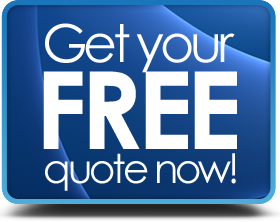 All of our installers are fully trained and experienced. Our long-standing relationships with our suppliers and manufacturers give us flexibility and support in a competitive market. We have the capability to fabricate our own product line to compliment products purchased from major manufacturers. Our strengths lie in our great diversity as well as capability and loyalty of our skilled personnel. We value our customers and believe in providing top-notch customer service before and after service. We have partnered with our local Miami Locksmiths to ensure that when storefronts glass doors are installed we quickly protect your business with a partnering company that can finish the job. Our Team has completed many commercial projects ranging from Churches, Fire Stations to Retail Shopping Centers and large Distribution Centers. Building strong relationships with our customers as well as providing top notch customer service is the foundation upon which Alfa Glass and Mirror continues to build. Some of Commercial Glass Services Include Storefront Window Replacement, Storefront Window Repair and Storefront Window Maintenance, High Impact Hurricane Resistant Glass Installation, Bullet Resistant Glass Installation, Transaction Window Installation, and Frameless Glass Doors Installation. Some of Residential Glass Services include the installation, repair or replacement of Insulated Glass, Impact Resistant Glass, Home Windows, Sliding Doors, French Doors, Shower Enclosures, Mirrors, Glass Shelving, Glass Countertops, and Glass Table Tops. At Alfa Glass and Mirror, we are always readily available to service the needs of your home or business. We are committed to customer satisfaction and saving you money and have partnered with Miami’s Top Construction Company in Miami Skyline Construction to provide you a full-service glass and construction company.